Commissioner James "Jim" W. Gordon, Senior is a fictional character, an ally of Batman who appears in comic books published by DC Comics. The character first appeared in Detective Comics #27 (May 1939), and was created by Bill Finger and Bob Kane. Gordon made his debut in the first panel of this comic, making him the first Batman supporting character to be introduced. 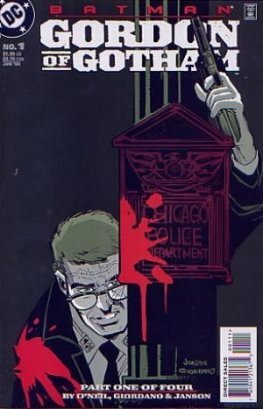 In most incarnations of the Batman mythos, James Gordon is the Police Commissioner of Gotham City. He shares Batman's deep commitment to ridding the city of crime. In Golden and Silver age comics and on the 1960s Batman television show, Gordon fully trusts, and is even somewhat dependent on Batman. In most modern stories, he is somewhat skeptical of Batman's vigilante methods, but nevertheless believes that Gotham needs him. The two have a mutual respect and tacit friendship. He has been married twice: to Barbara Kean Gordon, and then to Sarah Essen Gordon. Gordon is also the father of James Gordon, Jr. and the father or adoptive father, depending on the continuity, of Barbara Gordon, the first modern Batgirl and, for a time, the information broker Oracle. 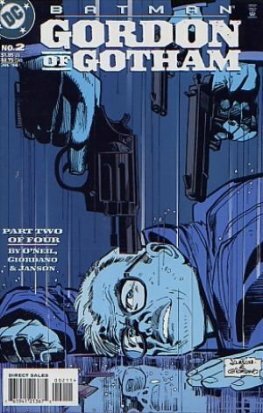 Gordon is an important part of the Batman mythos and has appeared in most other media adaptations of the character. This has included video games, animation, and the live-action films. Gordon has been played by Lyle Talbot in the serial film Batman and Robin, Neil Hamilton in the television series Batman, Pat Hingle in the Tim Burton/Joel Schumacher film series, Gary Oldman in the Christopher Nolan film series and Ben McKenzie in the television series Gotham. In 2011, James Gordon placed 19th on IGN's Top 100 Comic Book Heroes.